Join Baa Baa Brighouse for Crafternoon Tea! 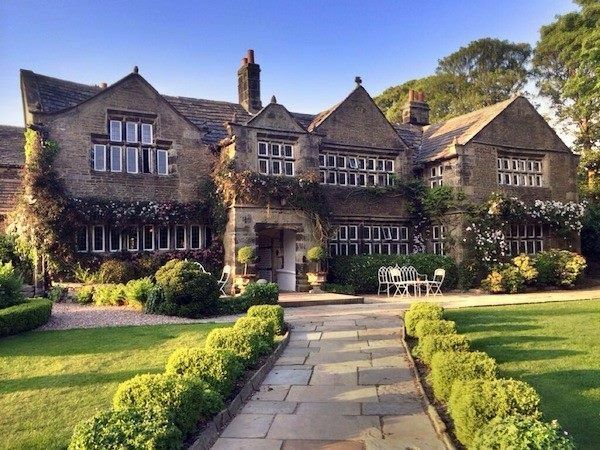 How would you like to join Baa Baa Brighouse for a relaxing afternoon tea in the grounds of the beautiful Holdsworth House Hotel? We’ve teamed up with the wonderful staff at the Jacobean manor, situated on the outskirts of Halifax, to launch our very first Crafternoon Tea event. 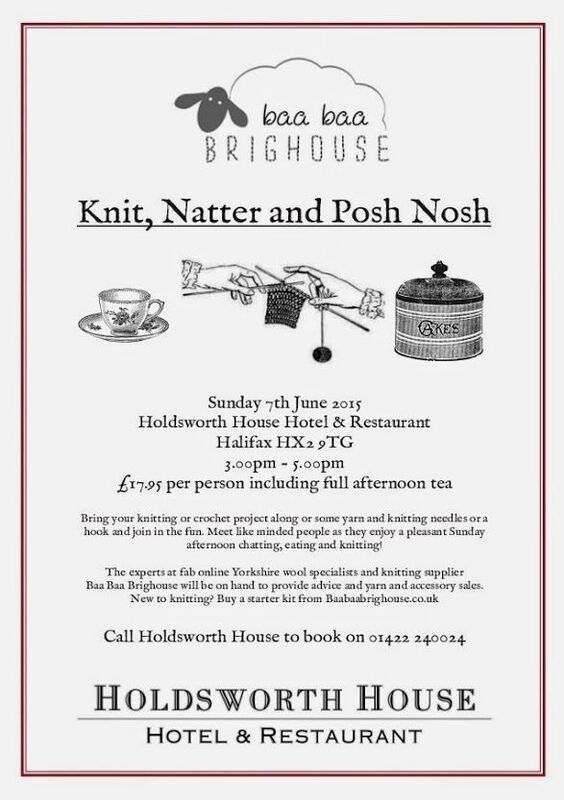 Why not join us with your knitting or crochet project on Sunday June 7th from 3pm until 5pm and meet like-minded people whilst enjoying a delicious traditional afternoon tea of sandwiches and cakes, freshly prepared with locally sourced ingredients by the talented chefs of Holdsworth House. Baa Baa Brighouse will be on hand to provide advice and there will be ample opportunity to browse our extensive range of products including yarn, knitting patterns, needles and notions, hand knits and knitting kits, suitable for beginners and those looking for a challenge. We’ll tell you all about how Baa Baa Brighouse – Yorkshire’s most popular online yarn store came about and we’ll also be offering some exclusive discounts. The event will take place the day after Leeds Wool Festival at Armley Mills in Leeds, where you will also find Baa Baa Brighouse. If you’re visiting Yorkshire, why not make a woolly weekend of it and come along to both events? At Armely Mills you can learn all about the history of the woollen and spinning industry in Yorkshire or take part in an organised workshop, then on Sunday unwind at Holdsworth House in the company of other knitting enthusiasts. 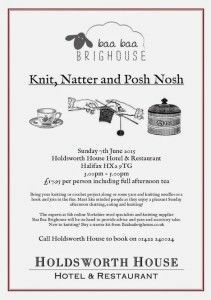 Tickets for Knit, Natter and Posh Nosh at Holdsworth House are £17.95 per person and can be booked via Holdsworth House Hotel. We’re Ready for Wonderwool Wales 2015!